RS-R RAN✩UP enhances engine efficiency at the microscopic level. Utilizing key components that have been derived from aerospace robotics, this specially formulated mixture of nano ceramics reduces friction throughout all oil-lubricated pares of the engine. This creates an environment where ending performance can reach its maximum potential. The numbers don’t lie… RS-R RAN✩UP produces real Dyno proven power! 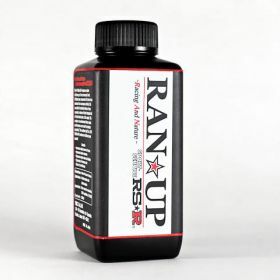 RAN✩UP is specially bottled and formulated for Car Applications.